Collin Rose heads Chamberlain's intellectual property practice and he focuses on providing full-service intellectual property legal advice to his clients. Collin’s clients range from publicly-traded S&P 100® multinational corporations to small entities and he advises his clients on all aspects of intellectual property transactions on a world-wide basis. Collin also assists his clients develop and manage international intellectual property portfolios, including patents and trademarks. Collin also advises in adversarial legal proceedings and provides legal opinions regarding potential legal exposure to third party patents. 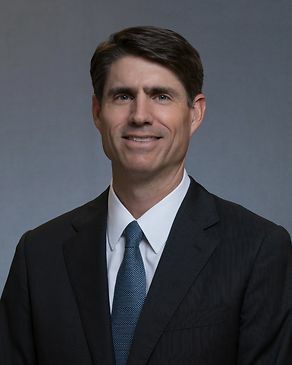 Collin also assists his clients in post grant challenges before the United States Patent and Trademark Office, including oral argument in front of the United States Patent Trial and Appeal Board. Collin has extensive patent experience in the energy, manufacturing, processing, chemical, and medical device/treatment industries. Collin is proud to be a native Houstonian and believes in giving back to the community. Collin has spent time volunteering on the steering committee for the Small Steps Clays Classic, which benefits Small Steps Nurturing Center, a non-profit organization that provides early childhood education and support to at-risk children in Houston, Texas. Collin also volunteers as a board member of Autumn's Dawn, which provides transitional services for young adults with Autism Spectrum Disorder. Successfully defended a client in a patent license dispute regarding medical device technology. Obtained a favorable settlement for the patent owner licensor. Successfully defended a client in a patent dispute involving valve actuators used with oilfield wellhead equipment. Obtained a favorable settlement for defendant. "Many thanks to you and your colleagues for the detailed advice that you have provided and for the timeliness of the information. It was much appreciated. It was always clear that patent advice would be central to this transaction and your firm provided a clear summary of the position backed up by detailed analysis. We are most grateful." Co-author of the O'Connor's Federal Intellectual Property Codes Plus book published by Jones McClure.